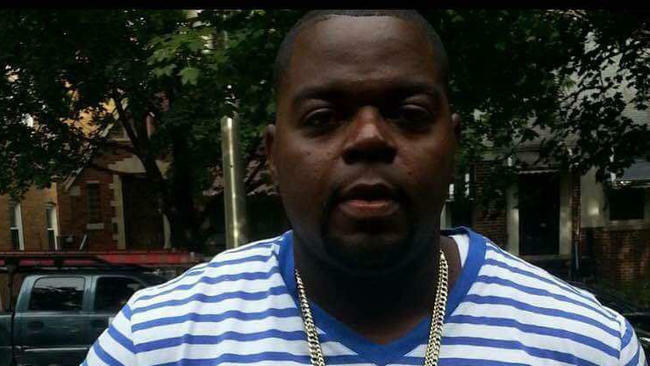 Demarco Kennedy was known as a soft-spoken family man who worked the overnight shift at a railroad company. 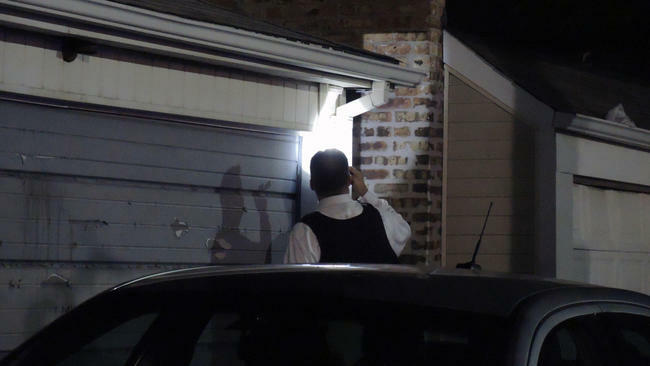 Around 8 p.m. Tuesday, the 32-year-old father of three was sitting at a table in his second-floor apartment in Rosemoor on the Far South Side when two bullets pierced the window behind him and hit him in the neck and head, according to police. Kennedy collapsed on the floor and was taken to Advocate Trinity Hospital, where he was pronounced dead. His wife and children, ages 6 to 14, were in another room at the time, and police said no one else was injured. The shots were apparently fired from the parking lot of a Popeye’s restaurant just south of the three-story white apartment building in the 600 block of East 102nd Place, police said. The window of Kennedy’s apartment can be seen from the parking lot through a gap in two garages. Late Tuesday, police officers examined about five bullets holes in the wall and window of the building. They also blocked off Popeye’s parking lot with red crime tape after finding shell casings there. An evidence technician examined the gap between the garages. Police reported no one in custody. Kennedy’s family said they could think of no reason anyone would want to shoot him. Kennedy shook his head and embraced another brother, Justin Jones, 21, as they stood with about two dozen relatives outside Advocate Trinity Hospital’s emergency entrance. The brothers said they did not see Kennedy often because he worked so much. “He’d go to work, come home, then go to work again,” Kennedy said. “This is crazy,” added Jones. More relatives began showing up outside Advocate Trinity. The family’s anger turned to the criminal justice system. “Right, no court,” Hawthorne replied. At the scene of the shooting, Shannon and his son stood in the backyard of the building, pointing out the bullet holes in the building’s frame and windows. Shannon’s son, who lives on the third floor of the building, said he knocked on the door of Kennedy’s apartment after hearing gunshots. When he walked in, he saw Kennedy lying on the floor near a dining table. His wife was standing over him. Shannon’s son, who declined to be identified, fiddled with a flashlight as he and his father talked. “Would you dispute martial law?” Shannon asked his son. “When has there not been violence?” his son said. “Let the police do their job,” his son said. “It goes past the police,” the father shot back. The two grew silent as two evidence technicians joined them in the backyard. One of them aimed a camera at the building, taking photos and video of the bullet holes.